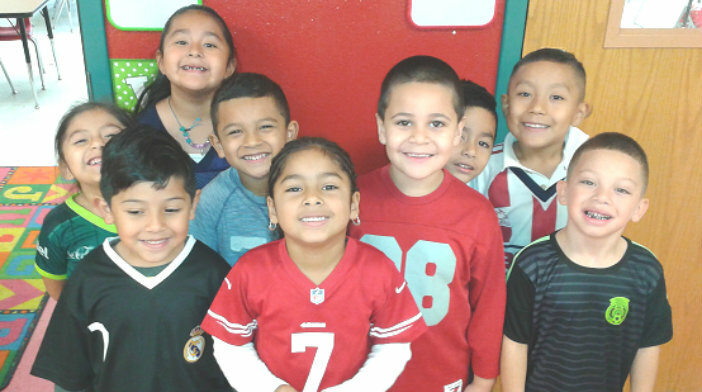 Students at Cesar Chavez Learning Center wore their favorite team jerseys in celebration of Red Ribbon Week. This week, students across Dallas ISD are sporting their favorite team jerseys, dressing as superheroes and having fun at activities planned to observe Red Ribbon Week. Behind this lighthearted celebration is the deadly serious issue of youth alcohol and drug abuse. To help educate students and parents, many schools are hosting assemblies and presentations about the benefits of living free of drugs and alcohol and the dangers of abuse. Since 1985, Red Ribbon Week has focused public attention on these dangers. Created in response to the murder of DEA Agent Enrique Camarena, Red Ribbon Week is now famous for the thousands who wear red ribbons to raise awareness of the death and destruction caused by the sale and use of illegal drugs. 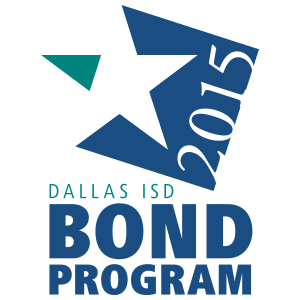 The Dallas Council on Alcohol and Drug Abuse is focused on education around this issue. Council representative June Deibel said parents must realize that their young people are bombarded by messages promoting alcohol and drugs and do their part to counter such messages. “Messages about drugs and alcohol are all over music, sports, and advertisements, three-fourths of music venues are sponsored by liquor vendors, and 88 percent of NFL football teams have major distributors as sponsors,” Deibel said. To counter these influences, she said parents need to serve as positive examples through their behavior and talk to their children about their personal beliefs. “If they don’t want their kids to smoke and drink, parents need to own their power to influence their kids and live their values.” She said that doesn’t mean parents can’t enjoy a glass of wine or beer. It means they need to behave responsibly and realize that their actions speak as loudly to kids as any lecture on the topic. Involving them in positive activities. Helping them learn to handle stress. Equipping them with face-saving responses to invitations to drink and abuse drugs. Statistics from the Centers for Disease Control and Prevention reflect that one in four teens has misused or abused prescription drugs and that every day, 44 people in the U.S. die from overdoses of prescription pain relievers. Deibel said families should lock up prescription drugs and properly dispose of any medications not currently in use. For help and more information on this topic, parents can contact their school’s counselor, download a Drug Guide for Parents, contact the council at (214) 522-8600, or visit the website for the Partnership for Drug-Free Kids.